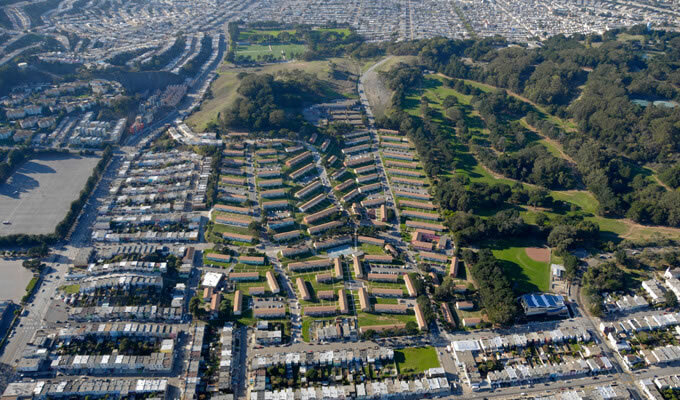 Built as housing for wartime ship builders in 1941 and now San Francisco’s largest, and perhaps most infamous, public housing complex, with nearly 800 run-down units across its 49-acre site, the HOPE-ful master plan for razing and redeveloping the Sunnydale-Velasco public housing complex is ready for its formal environmental review and public hearings. 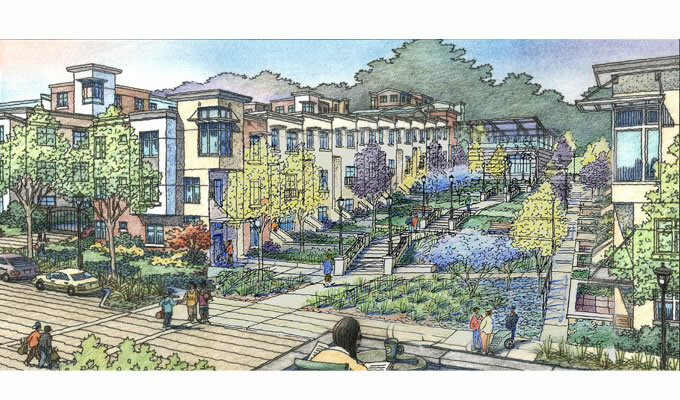 As proposed, the existing 785 units spread across the Visitacion Valley acreage would be razed and 1,700 new units would rise, 785 of which would remain subsidized by the San Francisco Housing Authority but would be owned, and newly managed, by Mercy Housing. Of the 915 units of additional housing, 24 percent would be below market rate rentals (including 150 for seniors) while 76 percent (around 700 units) would be for-sale market rate condos, developed by the Related Companies. Designed by Van Meter Williams Pollack, the development would range in height from 40 to 60 feet, with 18 buildings at 40 feet or less, 15 buildings at 50 feet, and one building at 60 feet with senior housing, retail and community services on the ground floor. 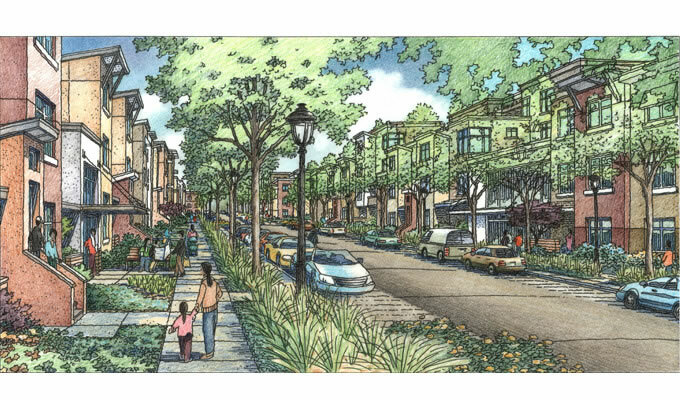 The master plan includes up to 72,500 square-feet of community, recreational and educational facilities; up to 16,200 square-feet of neighborhood-serving retail; and 11.5 acres of new parks and open spaces, including a community garden and farmer’s market pavilion. The two public hearings to review the Environmental Impact Report for the project have been scheduled for January 20 and 22, 2015. And if approved and funded, the development will occur in three major phases over a period of 9 to 15 years. 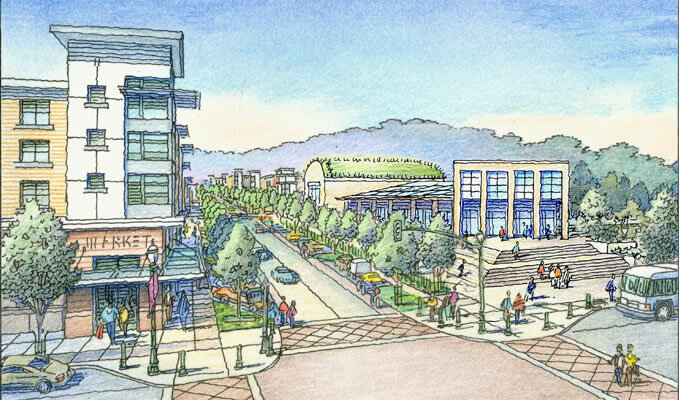 Great news for Visitacion Valley, Crocker Amazon and even Excelsior. Hope it gets funded and breaks ground before the downturn hits. Same with Schlage. This is the biggest embarrassment to every affordable housing policy issued by the mayor’s office, or the board of supervisors or whatever local politician. This is the housing we have to offer people and the city does such a terrible job of running it. Let’s build this and cross fingers that the 700 units of market rate housing (out of 1700? 41%) will be enough to create a diverse and dynamic environment for the kids who grow up there. And I call shenanigans on the idea of a community farm. 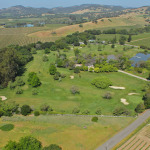 To try to plan for something like that Alice Waters figure to run the show and keep putting energy into it is a waste. I hope they have some passionate administrators lined up to plant vegetables. So, yes, build it please. 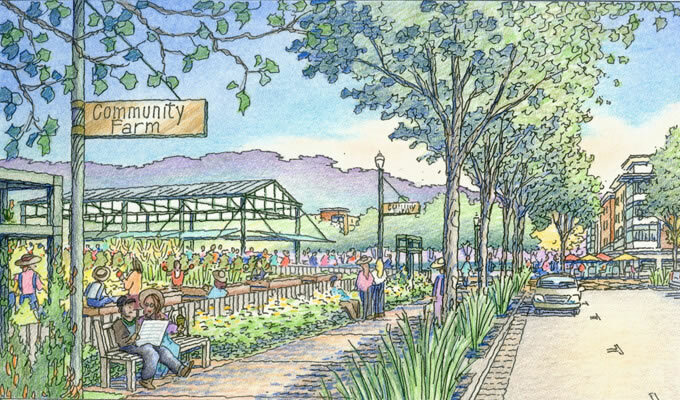 A communal farm next to projects is not a new idea. Alemany Farms, next to the Alemany projects, has bee successful. They are clearly assuming that pot will be legalized before this gets built. So at least there’s one crop that the residents will have an interest in cultivating. I’m curious what market rate ends up being. Even though the market will eventually decide, the city/developers have surely determined a price to start with. Do we have any basis for comparison? This seems like a case where market rate may end up being affordable to middle class families in the city. Its right up against that huge relatively un-buggered up park. I wish the layout was better set for everyone who lives there to feel more connected to that green expanse. It feels very grid-like and facing away from the park. I’m not terribly concerned about the percentage of public housing, it’s more an issue of who manages it. Unfortunately, SFHA has been a terrible landlord for a generation or more. But when other organizations step in, as Mercy Housing is going to do here, it’s a very different story. Look at Valencia Gardens…it was a war zone around that “project” before it was torn down, and the whole immediate neighborhood was blighted. Now, you can hardly tell it’s public housing. It’s not just the new buildings and creating more “defensible space”, it’s the management. All public housing agencies nationwide adopted a “zero tolerance” policy around 1999 or 2000 in which the entire family would get evicted if ANY household member were arrested for drugs. It was very effective. The “bad” families were evicted, and the “good” families put the kibosh on the one or two relatives dealing out of the home – it was no longer possible to just look the other way while you accept a few bucks from these drug dealer sons and grandsons. 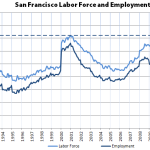 SF public housing, in particular, saw a huge drop in crime and dysfunction. They are far better places. It is a tough, but good, policy. Redesigning these places to eliminate large hidden courtyards where crime could fester and to look more like private homes also made a big difference. Absolutely insane level of underbuilding here. I mean, geez, we’re demolishing the whole thing and have a clean slate. Why in the world would we rebuild it at such a low density? You thinking of something more like Geneva Towers, or even the Bronx River Houses? No, I’m thinking of diluting the public housing more by building significantly more market rate housing. Density is being doubled in an area served only by buses, far from BART or MUNI trains. And building it at a low level of density ensures that this will remain the case. Density comes before transit investment nowadays. Yeah, building to nearly 3 times the average density of SF is such a waste. If they would just add a few more units to the units they are adding they could be on the short list for a BART station or at least a Caltrain spur. Think big and go tall and the next transbay tube alignment could run down Geneva Ave. Next stop Cow Palace Station. Right at the tipping point of massive mass transit and just wasted with an “absolutely insane level of underbuilding here.” Silly planners got no foresight. Maybe they can get a bike lane to downtown or a GoogleBus stop. Most of SF’s lower density areas well served by transit (ahem) are on the way from one place to another. This place is along Geneva, which has some service, but this project isn’t big enough to encourage MUNI to improve the schedule. A much higher density would. The existing density makes it not one of “SF’s lower density areas.” The existing density is higher than average for SF (namelink for data and map of residential density by census tract for all of SF). So are the neighboring census tracts in Visitation Valley. An existing MUNI bus service (8x Bayshore) goes right through the development 8 times per hour during the commute times. The outbound direction goes to the Balboa BART station and City College in about 15 minutes. The inbound goes to the Caltrain and MUNI train and all the way through downtown to Fishermans Warf. You could get on it within a few minute walk of anywhere in this development and be at your job at Uber or Pinterest within 30 minutes. Currently less than 400 people commute by bus from this Census tract. There are very few commuters by train. I would guess that the 30 or so buses that pass through there during the AM commute are adequate and adding a few more buses might even be within MUNI’s capability. FWIW, there are additional MUNI and SamTrans bus service, but the 8x is the primary commuter route. So can this area not support additional density or easily support it? I can’t tell from your comments. 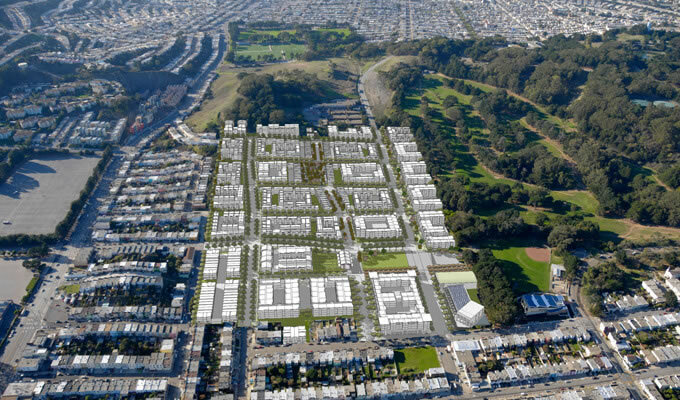 Seems like you’re saying that the area could support much, MUCH higher density with almost no impact to Muni. All else being equal, Muni is a lot more likely to increase transit service to areas with paying riders, as opposed to non-paying riders who vandalize the buses, assault other passengers and threaten the drivers. ^Which is why we should be rebuilding this with at least 3-4x the market rate units currently proposed. I’m confused by that last statement regarding the time line. Does it mean that construction won’t begin for 9 years with completion in 15, or that buildout will take between 9 and 15 years?